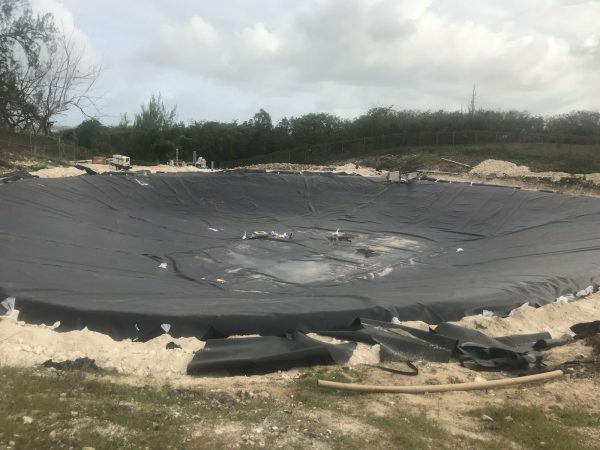 One of our latest projects in July 2018 seen us travel all the way to Barbados to complete the installation of 2 x HDPE Liners installations. The client wanted 2 Large Ponds / Water Storage Lagoons created for their dairy farm. The geomembrane liner material that was installed, welded and tested was High Density Polyethylene (HDPE) and was 2.0mm in thickness. We installed this type of HDPE geomembrane due to its highly exceptional chemical and ultraviolet resistance properties. In this type of environment it is crucial that HDPE Liners are protected from UV rays from the sun. 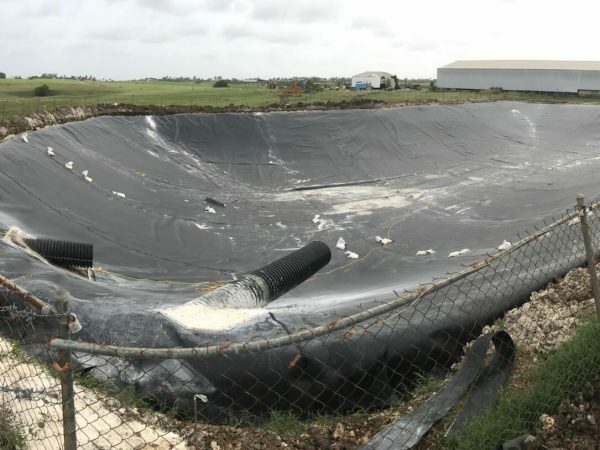 We have vast experience in delivering similar projects such as Large Pond Liners, Water Irrigation Reservoirs, HDPE Installations, Storage Water Lagoons, Storage Ponds and dirty water lagoons. High Density Polyethylene (HDPE) is now a very popular choice of geomembrane lining to use for a number of different applications. This is mainly because of its low cost, excellent chemical and ultraviolet resistance. Other benefits of HDPE include its easy application in bespoke and in field situations.Some time it can be very difficult to be fabricated in the factory due to the size of the project HDPE liner needed and being able to transport the HDPE liner to site. All of our engineers at SCLT are trained and certified in HDPE installation, welding and testing. With over 20 years experience we have extensive knowledge in delivering HDPE lining systems and solutions for our clients in the UK and overseas. The most commonly used HDPE liners application is probably within the landfill industry. We successfully used this material on many Landfill Capping projects over the years. The HDPE material is versatile, strong and durable. 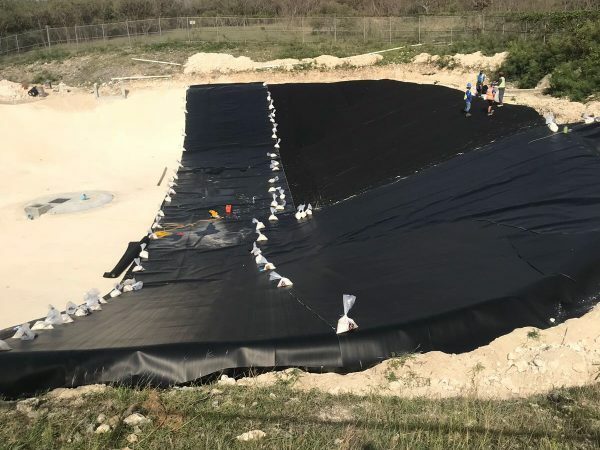 As well as being chemical and Ultraviolet resistant, the liners are also exceptional for use in containments, ponds, reservoirs and other water containment systems. If you are considering a similar type of Water Storage Lagoon or HDPE Liners Application then please give us a call to discuss your project on 07800654682.